NOTE: This article was published before the release of surveillance video of the Joe Mixon incident. There's no denying Joe Mixon's talent. The redshirt sophomore ran for 1,183 yards and eight touchdowns and was Oklahoma's second-leading receiver with 32 catches for 449 yards and five touchdowns. 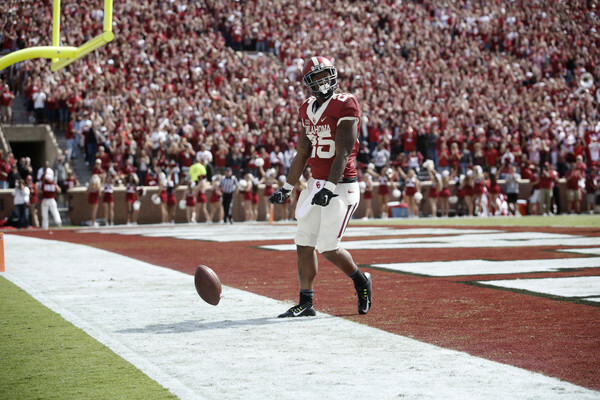 But how do NFL teams view Mixon as he decides whether or not to enter this spring's NFL Draft? "He'd be a first-round pick, no doubt," one NFL scout told The Oklahoman, on condition of anonymity. "If there wasn't that incident hanging out there." "That incident" is the 2014 altercation with a female college student where Mixon delivered a punch that left Amelia Rae Molitor with multiple broken bones in her face. The Oklahoma Supreme Court recently ruled that the surveillance tape from the incident should be made public, though officials from the City of Norman still have the option of filing for a rehearing on the case. Molitor last week rejoined the fight to keep the tape from being released.